Welcome to Canyon Trail Longhorns raising Texas Longhorns in West Point, TX. Watch the Man Fire Food Episode "Roasting and Ranching in Texas"
Our ranch was featured on the show along with our neighbor, Tink Pinkard, and his adventures and cooking skills. Roger Mooking, the shows host, fell in love with our Longhorns by the time the show wrapped! 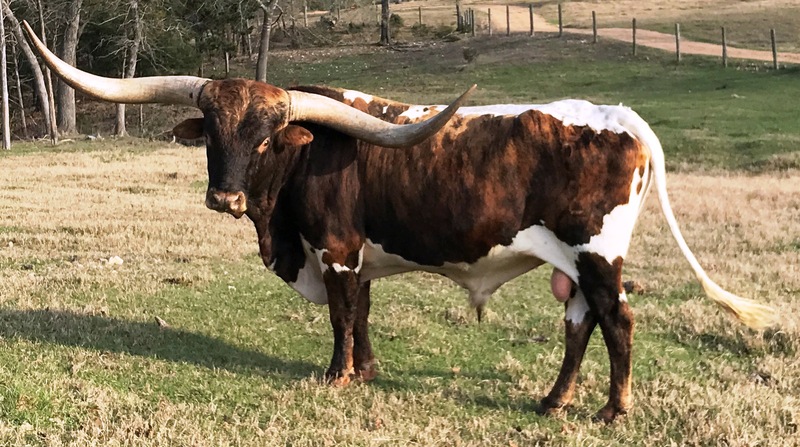 It continues to air monthly and prominently features several of our Longhorns. He won his class for Total Horn in the 2017 LWC Championship measuring 81.5 inches Tip to Tip and 108 5/8ths inches Total Horn on 10/14/17.